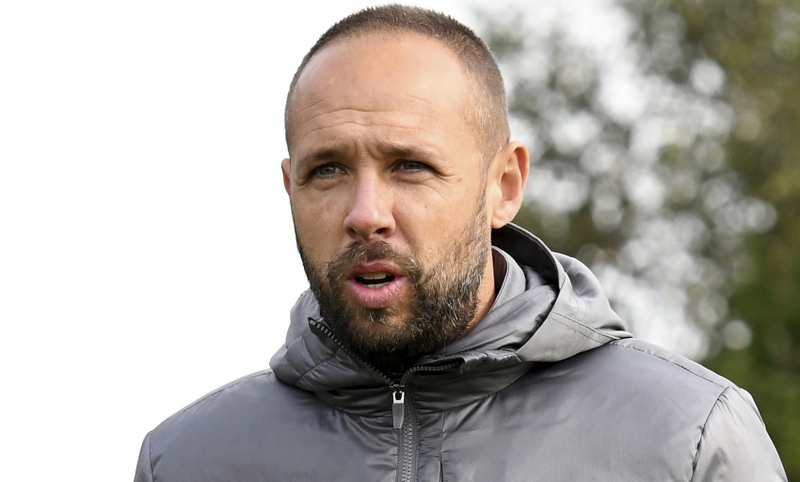 Liverpool U18s were leapfrogged at the top of the table as a result of Derby County's 3-1 win in their U18 Premier League North meeting on Saturday. 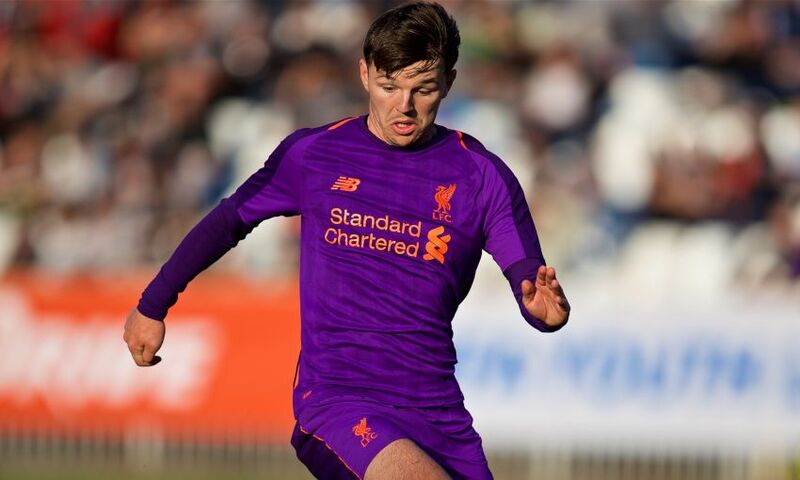 The young Reds had rallied after falling behind to Jason Knight’s ninth-minute opener, with Bobby Duncan netting an equaliser early in the second half. But a late double by Morgan Whittaker condemned Barry Lewtas’ side to a rare defeat and saw Derby overhaul Liverpool in the standings on goal difference. “It was a frustrating day for us,” U18s boss Lewtas told Liverpoolfc.com. “We certainly weren’t at our best today but credit to the opposition, we knew they would be tough. “I don’t think we matched them in certain areas that we needed to – Derby have got some good players and are well organised – but we got a better response just before half-time. “We had good control of the game then and played some nice stuff but we have said to the players we have got to get better at putting the overall performance together, and that lasts for 90 minutes. “As good as our win over Blackburn Rovers last week was, I thought it was a 65-minute performance, for me. “We played some nice stuff in flashes today but the boys have got to realise it’s a 90-minute game. We created some good chances and their ‘keeper made some good saves. Derby immediately got on the front foot in the game and could have opened the scoring within three minutes, but the unmarked Lee Buchanan directed his header from inside the box wide. The home side did produce a breakthrough soon after, though. Tyree Wilson’s pace took him past Liverpool right-back Neco Williams on the wing and his assist into the area found Knight, who took advantage of space to coolly control the ball and drive it low into Dan Atherton’s net. Fidel O’Rourke, captaining Lewtas’ charges, went close to a rapid response but saw his chipped effort from Abdi Sharif’s ball over the top saved well by Sam French. It was a sign of things to come, with Derby’s last line of defence offering stubborn resistance to the Reds’ eager search for an equaliser. After Knight squandered the chance to convert a second goal from a misplaced clearance, French thwarted the visitors in a succession of opportunities. The Derby stopper kept out Sharif’s hit from distance and later attempt from a set-piece, having palmed over Leighton Clarkson’s 30-yard free-kick in between times, to preserve the hosts’ lead at the interval. But a leveller was coming – and it arrived three minutes into the second half. Sharif’s defence-splitting pass freed Neco Williams on the right flank and the defender’s pinpoint cross set up centre-forward Duncan to claim his 26th goal of the season. 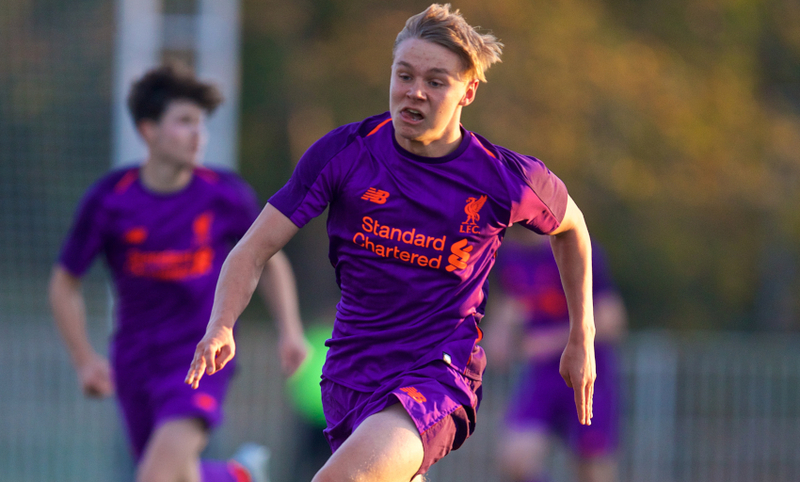 With the knowledge that victory would double their points advantage over Derby in U18 Premier League North, the young Reds pressed to complete a turnaround. And only another outstanding stop by French denied them a minute before the hour mark, Elijah Dixon-Bonner’s strike from Yasser Larouci’s pull-back thwarted. Lewtas called for Paul Glatzel and the reformation of his lethal partnership alongside Duncan with a quarter of the match remaining, and the pair soon combined to release Clarkson, whose ambitions were halted by a last-ditch tackle. But, instead, Derby moved up a gear in the closing stages and a quickfire double deflated Liverpool. The respite brought by Atherton’s brilliant save to deny Callum Minkley at close range was cruelly brief – two minutes later, Whittaker fired a finish beyond the goalkeeper when a set-piece was uncleared. And the Derby No.7 increased his side’s advantage with 77 on the clock, a free-kick from the edge of the area sent through the wall and home for 3-1. French added further salt to the wounds by pushing Clarkson’s curler from a set-piece against the post and away, ensuring the home side claimed victory and leadership of the division with a game in hand. Lewtas added: “Part of football is losing as well and the boys sometimes have to understand what that’s like and they have to bounce back. “We don’t like to lose and we never want to lose but what I would say overall is, I don’t think we can look at ourselves in the mirror as a group and say we deserved to win. “I’m not saying we were poor but we came up against a good team and if you are not at your best and you let yourself down at certain moments, especially the set-pieces, you’ll get punished. Liverpool U18s: Atherton, N. Williams (Walls, 69), Larouci, R. Williams, Boyes, Ritaccio (Longstaff, 76), Sharif, Clarkson, O’Rourke (Glatzel, 64), Duncan, Dixon-Bonner.